At Volvo of Vancouver, we know how important your vehicle’s appearance is to you. After all, your Volvo is a work of art with its remarkable design, modern and fluid lines, and beautiful interior made from the best materials. At Volvo of Vancouver, our detailing department will make sure that your Volvo remains as beautiful today as it was the first day you bought it. Trusting your Volvo to Volvo of Vancouver’s detailing department means preserving your vehicle’s resale value. It means that new car smell lasts a bit longer and your leather remains beautiful for more than just a few months. It means protecting your vehicle’s interior and exterior from dings, dents, stains, wear and tear, and scratches. It also means getting your vehicle ready for winter or spring or getting in perfect condition when the time has come to sell it. There's no doubt that Volvo of Vancouver truly has all of your detailing needs covered. Volvo of Vancouver uses only the very best products and technologies to detail your vehicle. We make sure that your Volvo is treated with care and dedication, and our clean and modern facilities will provide the best working environment to make your Volvo shine. We can protect it as well with various products for your vehicle’s paint, upholstery, body, and wheels. 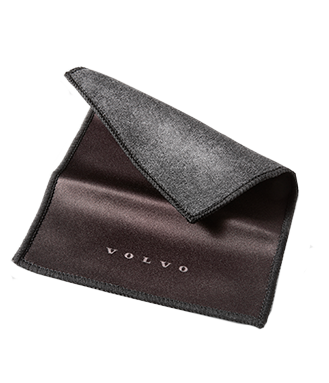 We can also protect your vehicle’s carpets with genuine Volvo accessories. At Volvo of Vancouver, we will have your Volvo looking brand new in no time. Come in today and speak with one of our detailing experts, and don’t forget to ask about our special offers.